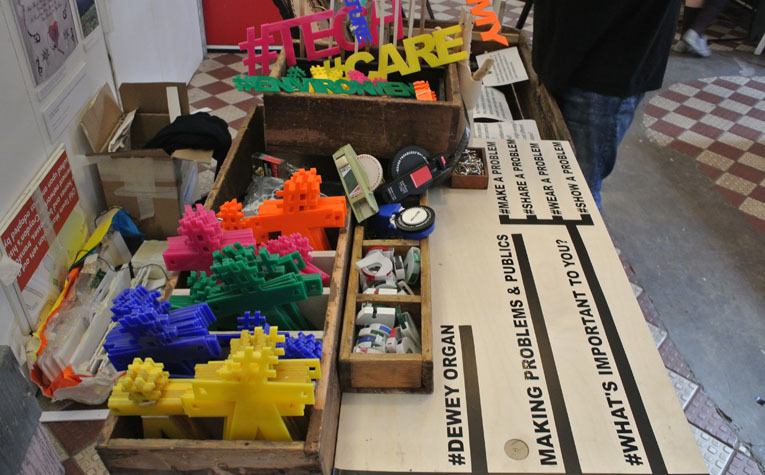 The Dewey Organ: a problem and public making machine is a ‘co-design’ experiment to prototype ways of making problems and publics. The research directly addresses issues central to the funding call and critical to practice-based researchers, designers and policymakers, namely: what counts as a social ‘problem’ and what publics do problems bring into being? Play the Organ in a context where members of publics can interact with, add or make their issues, problematize and customize problems and in doing so make their publics known or indicate new publics that arise around new issues. 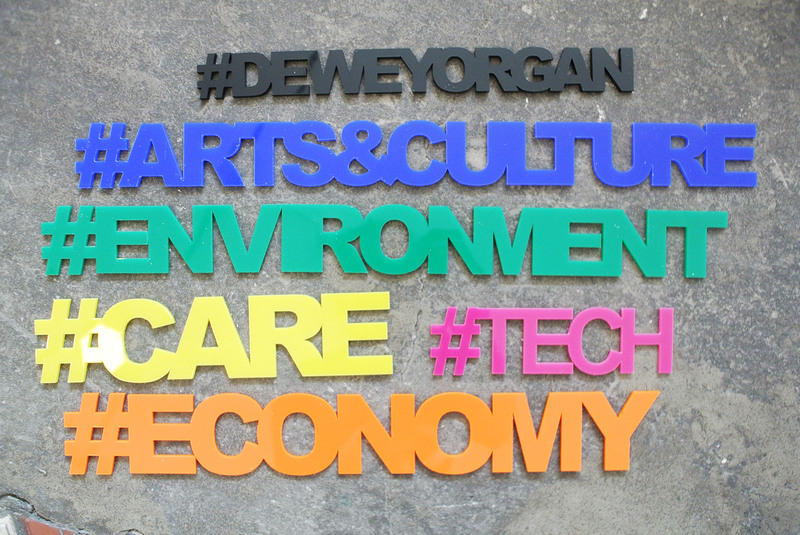 The machine takes its name – ‘The Dewey Organ’ – from John Dewey’s 1927 book ‘The Public and its Problems’ which critically examines civic participation, relationships between citizens and experts and the nature of expertise. The ‘Organ’ is both a device for making noise, both harmonies and discordant sounds, and of bringing people together. It also speaks of the body politic, and an anatomy of publics. One of the challenges we talked about at length while developing the initial proposal was how we were going to involve lots of people in the making of the Dewey Organ. Both the project budget and timeline requires this part of the process to be really efficient so we initially proposed to run a series of making sessions at Goldsmiths with students and staff. Feedback from reviewers suggested we consider ways of broadening this to include more and different kinds of people in the shaping of the machine. 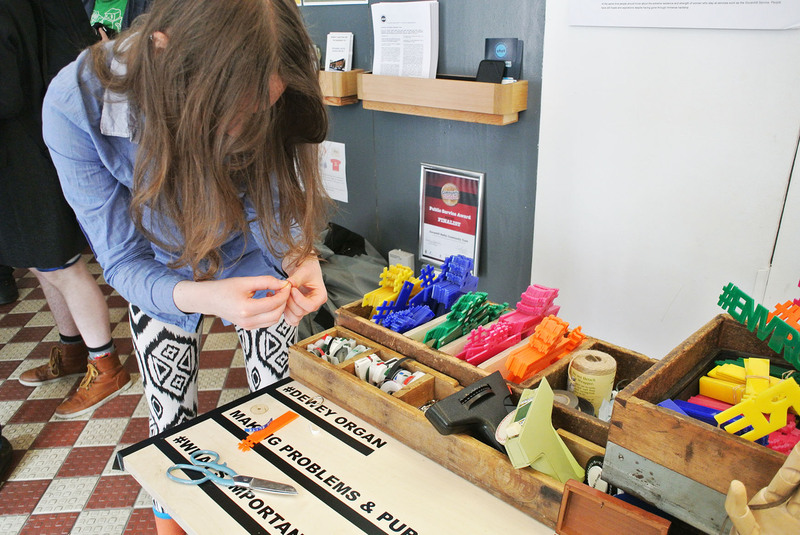 We agree and with Cassie’s help we are now running another event – a half day idea hacking workshop at Makerversity. 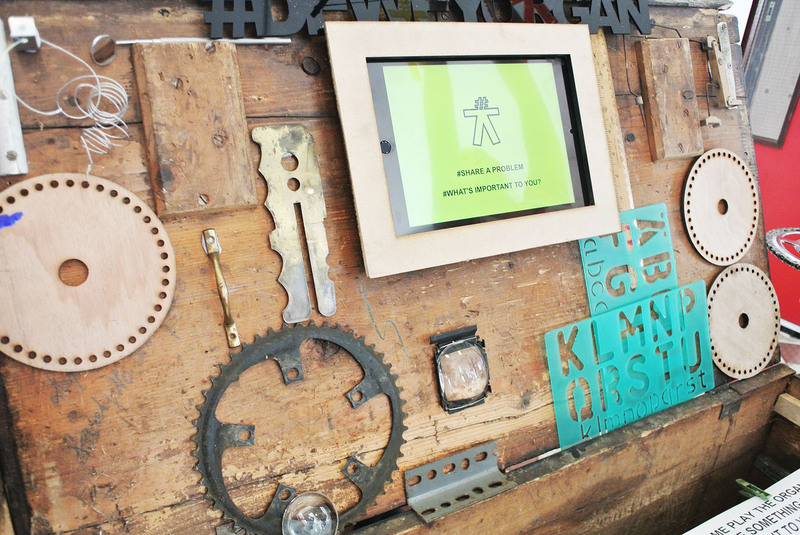 Located in Somerset House, Makerversity is home to a community of emerging maker businesses and social entrepreneurs. The workshop is an intensive half-day event that brings together practitioners and researchers to raise questions and generate new ideas around problems and publics. It takes the form of a hackathon, involving quick response material thinking into practical devices that will render issues tangible, material and debatable in new ways. 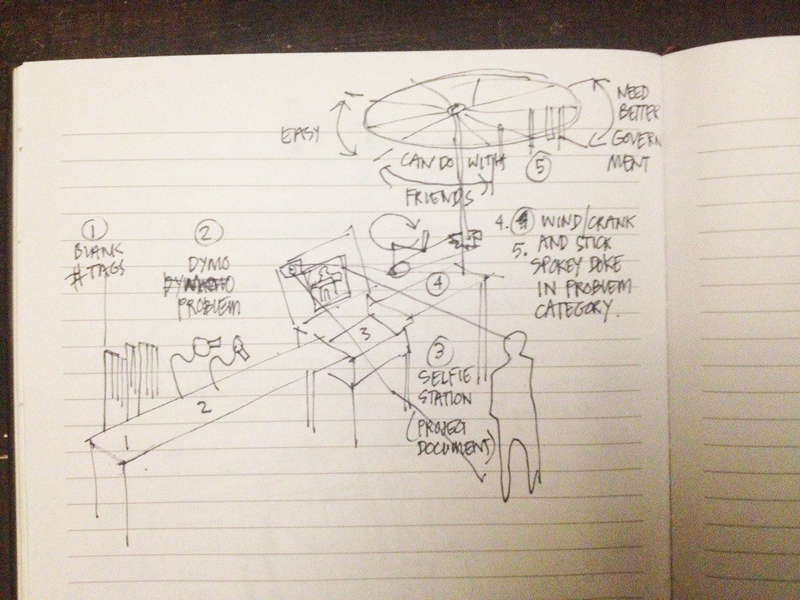 The aim is to experiment with new forms of cross-disciplinary, design-oriented research. We are expecting 15 participants from Makerversity and Goldsmiths plus an architect, coder, event designer, sew-er, a designer or two plus others. 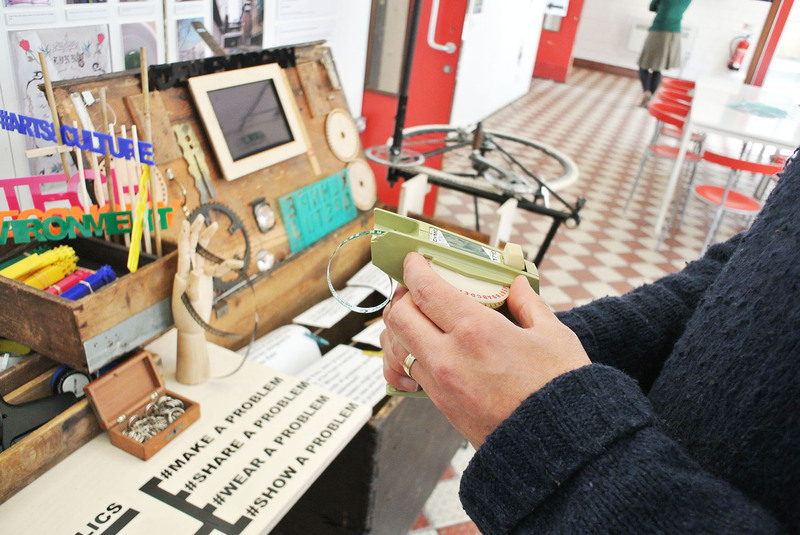 These ‘Enquiry Machines’ are not meant to be final prototypes or working models but rather objects that help to enquire into something – in this case the idea of how problems are made and how they could be made visible through devices. Kat has run lots of these kinds of events: See here and here for examples. The workshop will run for 3.5 hours. It will start with an intro and provocation by the research team. People in small groups will participate in some material thinking. They will then present/ perform these machines to the group. 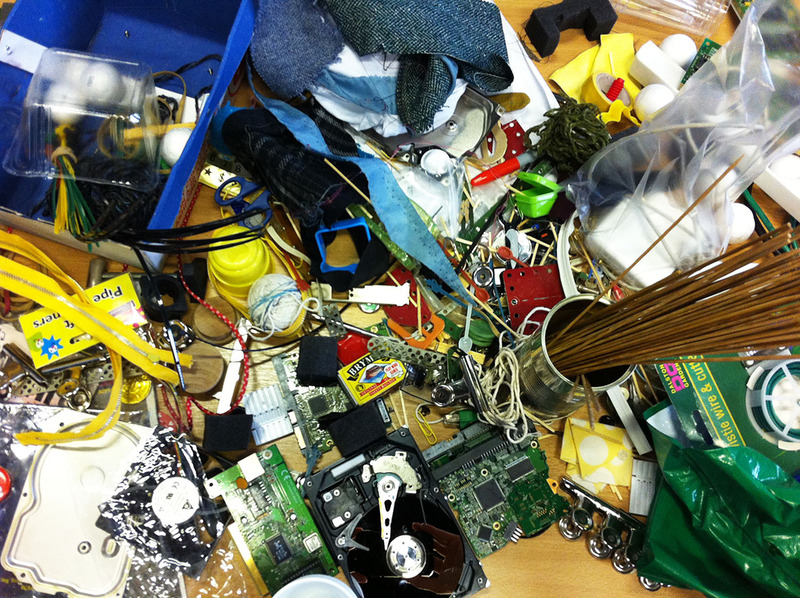 We anticipate the ideas and machines generated in the workshop will contribute to our final interactive physical device. 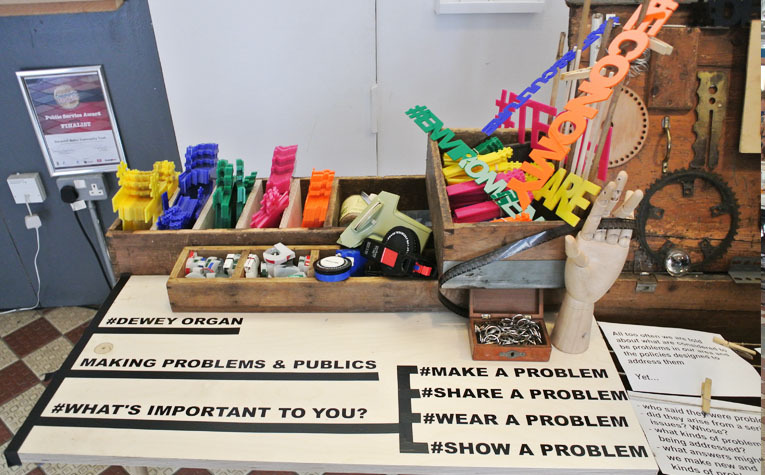 We held a junk hacking machine making workshop at Makerversity on Friday 17th July as part of our project -The Dewey Organ – in the larger AHRC Protopublics programme. It was an intensive half day event involving the research team – Duncan, Alex and myself – and 16 researchers and practitioners including designers, event organisers, sociologists, architects, sew-ers, coders and more. The aim was two-fold: to discuss social issues that the project might draw upon and to materially think through what kinds of machines might be possible. We talked about how we are interested in social problems and publics and more specifically, about the problem of problems and publics. How do problems come into being? How do they emerge? What do they do? So often we are told what is considered a problem in our area? We are then told about policies that are designed to solve these problems. But we don’t always know who had these problems in the first place? Who said they were problems? Did they arise from a series of issues? Whose? And whose problems didn’t make the cut? Which ones weren’t considered problematic enough? 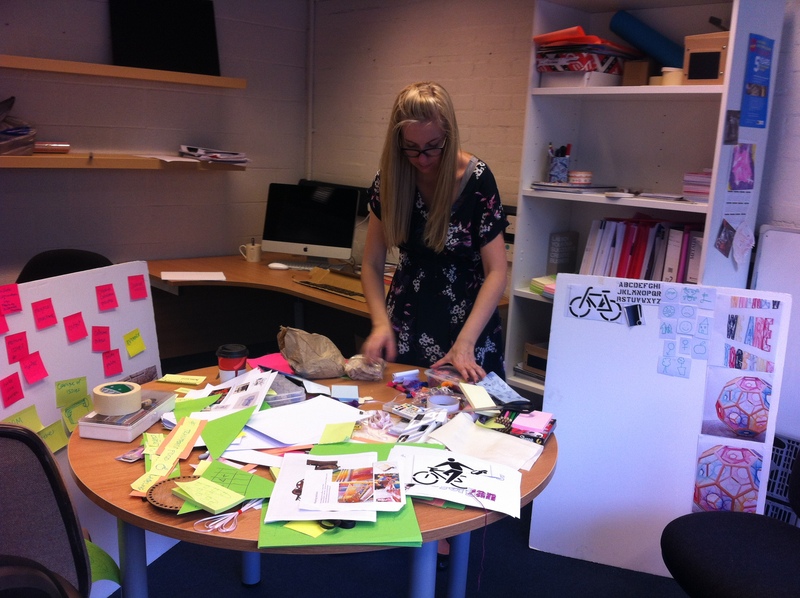 So we are asking – what might happen when we collect issues together and visualize them in new ways. Might we make new problems? Might we craft new ways of thinking about problems? Might we produce different forms of evidence? Might these in turn lead to new solutions? Might they produce or reveal different kinds of publics? And then, what might be possible to do with these new problems and publics? Fundamentally, we are interested in how problems and publics ‘might be different’. Problems are inherently social, embodied/participatory – you can’t do it alone. We are interested in what kinds of groups and publics arise from different kinds of problems or how they themselves produce problems? The first part of the workshop was structured around issues. Participants were asked to talk about issues that were important to them. We were surprised and inspired by the intimacy and diversity of issues raised. – ethics and personal responsibility of consumption – at what point when you learn about environmental/ social/ political impacts of ‘fashionable’ ‘superfoods’ do you change your practices – ie. when to stop eating quinoa/ soya products /eggs / coconut? – online abuse and trolling – technology is changing the polis – who do you turn to when infrastructural powers are also flummoxed? – Thresholds: Where/what are the thresholds for agency? At what point do we change our behaviour/s? How does something get our attention/ gain enough traction in a community to catalyse action? Agency is simultaneously enabling and disabling. – Opacity of systems: Blackboxing of infrastructures. How do we get inside to see, or change things? How do we trace their process through the system? – Scalability: How do we critique the scalability of issues? Are bigger issues always more important than smaller ones? Why? How might this be unsettled? – Evidence: What counts as evidence and what doesn’t? Some people focused on modular components of the machine – such as how issues would be ‘inputted’ into the device. Here, Nikki performs a variation on the tincan-telephone concept, but on a larger scale. The machine also featured a series of dials to adjust the volume of issues. What may for instance seem like a small issue could be adjusted using these dials. We talked about how musical organs have a range of buttons and knobs that adjust not only the sound but the tone and mood and introduce the potential for interference which has interesting resonances with the project which we will explore in detail. Tonewheel leakage occurs in the Hammond organ and in similar situations, where the large number of tonewheels causes pickups to overhear tonewheels other than their own. This causes the organ to add chromatics to played notes. In some kinds of music this is undesirable, but in others it has become an important part of the Hammond sound. On some digital simulations of Hammond organs tonewheel leakage is a user-set parameter. The second group approached the machine through a specific issue – that of invasions into data privacy and online identity. This involved a game-like design through which balls of data moved through a system of complex infrastructures which were not completely controllable (or desirable) by the user. There were a number of really interesting features of this machine: Firstly, it had sound. The balls dropped into bowls and around the unit. They indicated when things were going according to plan and also when they were not. The sonic qualities sparked the attention of the group watching. Secondly, the machine rendered the process visible. It opened up the blackbox of the internet. 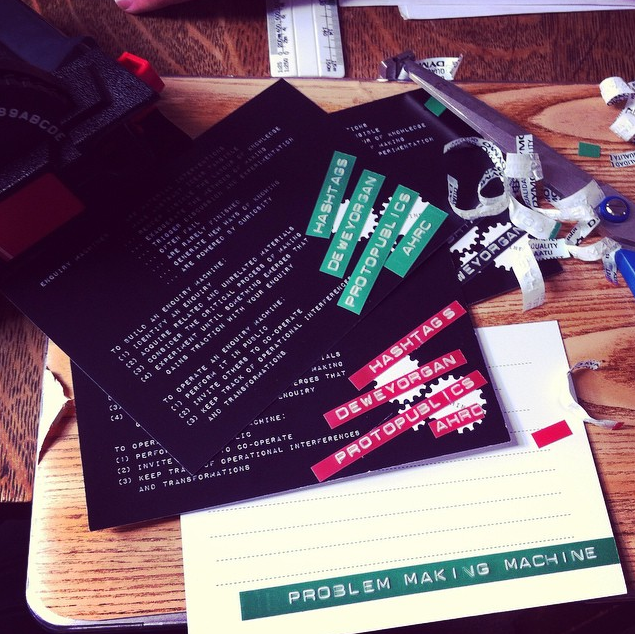 The final group took another approach to the machine – they materialised the process of how issues turn into problems. Again it had a modular design that was deliberately precariously balanced and dynamic. Things were layered – media was wrapped around an issue, fed with education and ideologies. Tin-can telephones appeared as input and as output devices. A core feature was the idea of loops – information, ideas, interferences looped around the device. It was not a neat, linear system but rather brought to life a messy, carefully balanced (or unbalanced) system that required constant negotiation, feeding and work. Overall, we were really pleased with the event. It generated lots of interesting findings, insights and questions. I am especially interested in how productive the morning session on rendering visible of social issues worked. Key ideas in this session and the pre-lunch discussion included – agency, voice, thresholds, interference, opacity, transparency, volume, tone/mood, gearing. The hacking session also brought to life very different perspectives on the machines – modular, infrastructural and process oriented systems. Many thanks to Makerversity for letting us hold the event in one of their maker spaces – it worked really well and was much appreciated. Thanks to Cassie Robinson for helping to set the event up. And of course huge thanks to everyone who attended for their energy, creativity and personal stories. 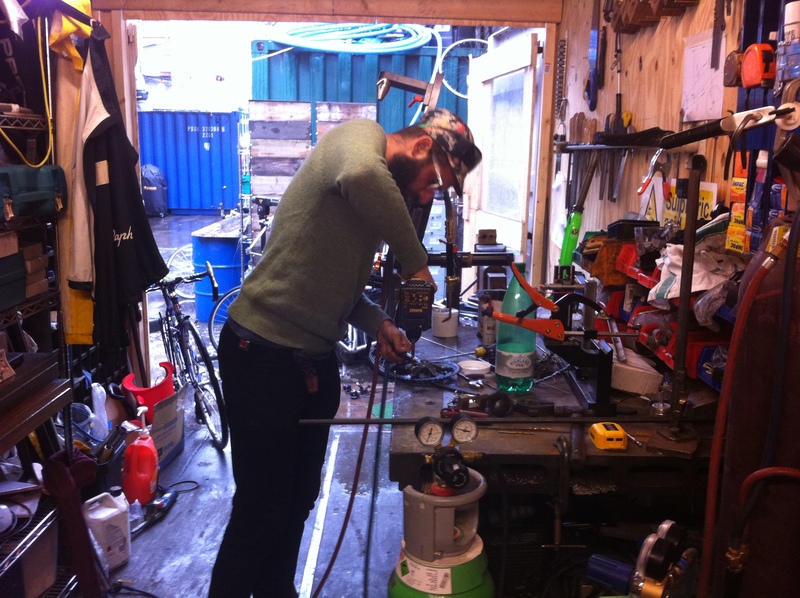 The next step is to build it on a larger scale……. 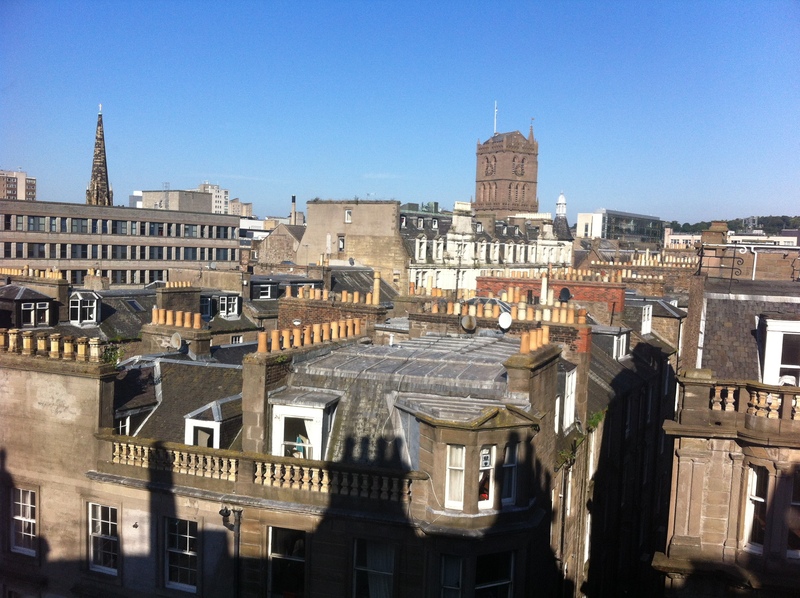 The research team has been working at Goldsmiths, via Skype and also in Dundee this month to build insights from the workshop into a machine. 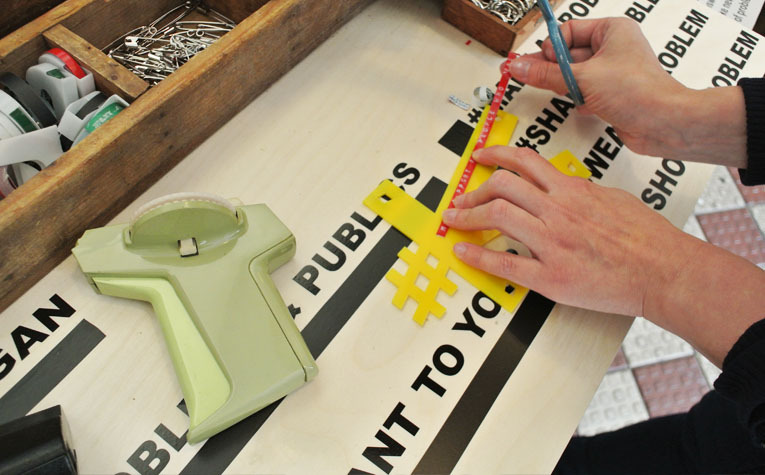 We are interested in constructing a machine that invites people to contribute small issues, share them and weave them into some form of a collective display, that is dynamic, easily interrupted and (re)shaped. This has posed all sorts of challenges in terms of the volume of ideas we have as a five person collaboration, the limited time to make a robust machine that can travel and how to best communicate simply and quickly quite complex theoretical concepts. Thanks to our partner Civic Workshop, we are very pleased to be invited to ‘play’ the Organ at The Imagination Festival in Glasgow 4-6th September. We will be setting up in the foyer of the Govanhill Baths. This is a really valuable opportunity to engage with a diverse public in a creative socio-political context. Imagination: Scotland’s Festival of Ideas is a weekend gathering of ideas, culture and politics programmed and produced by Gerry Hassan and Roanne Dods. It is supported also by the Sunday Herald as media sponsor. The festival will run from Friday September 4th-Sunday September 6th 2015 in the southside of Glasgow at Glad Café, Sikh Gurdawarra and Govanhill Swimming Pool. Our programme and speakers will cover areas of ideas, culture, history and politics – all in a way which is non-partisan and non-aligned. We are aiming for a programme that is intelligent but relaxed and personable – marrying the best sense of an intimate book festival with an engaged light touch connection to people and place. Making ideas count is about more than talking heads, experts or one-way conversations. It necessitates thinking about how we relate to each other, how we listen and don’t listen to each other, the voices which are prevalent and those which are not, and the platforms and gathering styles we use. Developing good, even great ideas, involves us all questioning consensus and encouraging dissent- and enabling thinking which is on the edge. Imagination aspires to offer all of this and more: bringing together names you will recognise with new and emerging voices and perspectives reflecting the time of change and uncertainty we live in. Above all Imagination is about nurturing a culture which takes ideas and creating spaces where the power and potential of our imagination can fully find and express itself. It is also about recognising the many different human and emotional moods which aid and support this: involving fun, play and enjoyment as well as being serious. The Dewey Organ was played at the The Imagination Festival, Glasgow 4-6 September. It was an ideal place to perform/ showcase/present not only because the organisers gave us such a warm welcome and the publics in attendance were open to and engaged with experimental ideas and sociopolitical debate but also because the courier company did such a bad job in transporting it that we needed lots of creative assistance to piece it back together. Fortunately copious amounts of tape, glue, spare legs in the form of concrete blocks and a few other found bits and pieces plus some tinkering meant it all turned out ok. It was designed to operate as a wunderkammer or cabinet of curiosities and was made up of a chest out of which various things folded and popped out, a winding bicycle mechanism and a display unit. The Organ was set up in the foyer of the Govanhill Baths. In this location it caught public flow through on route to hacking and sewing workshops and range of talks. We deliberately did not shape people’s questions/ problems. While it would have made the outcomes neater and easier, this was the first experimental playing of the organ and so we left it up to people to interpret and engage with it. We experimented with a colour coding scheme to add another layer to the problems. The next stage was a more analogue version of showcasing the problem in public. This part of the machine drew inspiration from a washing line and a weather vane. The former brought to the project ideas around hanging your smalls out in public. The latter reflected ideas around the vagaries of the weather and responding to changing conditions. 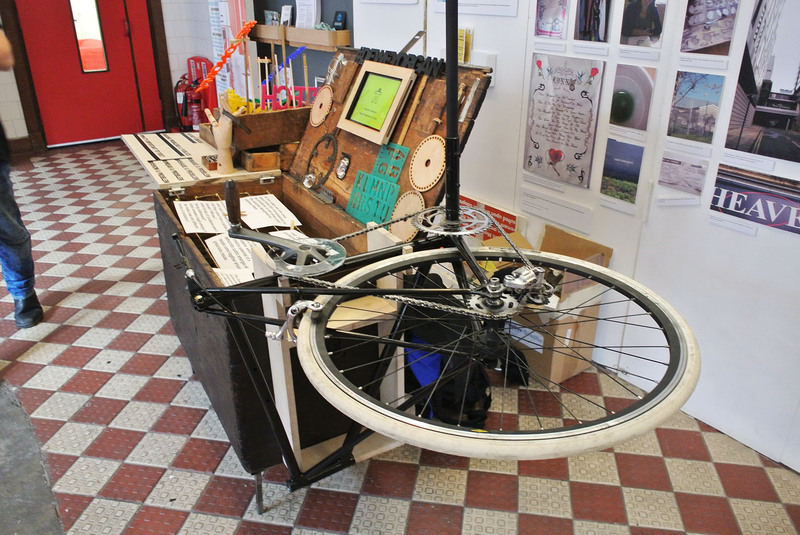 A bike mechanism at the base of the display unit comprised a crank handle which when turned operated to swing the display unit, thereby adding a dynamism to the machine and enabling participants to read all of the problems on show. Over the course of the festival the machine filled up with a range of problems. Overall we were pleased with the machine and its initial outcomes. One of the aims of the project was to materially engage with the process of making problems and participants commented about the tactility of the materials we chose. 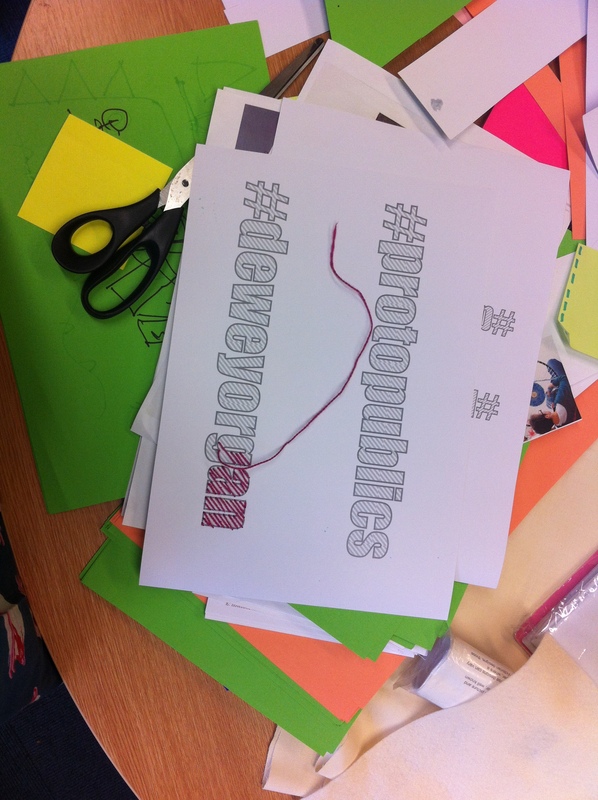 There was lots of positive feedback about the Dymo labellers and also the colourful hashtag figures. These objects operated to attract people’s attention, which then sparked richer, deeper conversations about macro issues. Although it was only a small sample, we were also struck by the nature of the problems people posed – by far there was an abundance of care oriented concerns in all categories. It would be interesting to play the organ again, in different contexts, and with more specific themes that people could response to and intervene in.